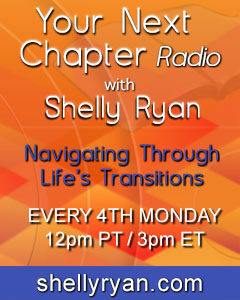 Shelly’s been helping women navigate through life’s transitions for over a decade. She’s helped women (and men) find new jobs, start their own businesses, write books; navigate through major life transitions like empty nest syndrome, dating, a major health diagnosis, divorce; and has even helped people clean out and organize their desks and closets! Shelly’s creative and powerful ACCCRA© method helps you move through your transition deliberately, mindfully, and purposefully and her contagious enthusiasm amazingly makes you want to tackle your transitions and jump into whatever’s next for you. 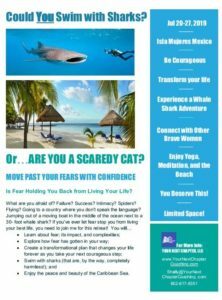 She works with clients through one-on-one coaching, group coaching, VIP Days, Weekend Retreats in Phoenix, Destination Retreats (Mexico and Ghana for 2018-2019) and in-person workshops and speaking engagements. If you are ready for YOUR next chapter, schedule a complimentary 30 minute strategy session.